Reason We’re Cranking It: The 3-disc set, which features 37 tracks, is a marathon of creation from Translator founder Barton, who offers up a goodie bag of songwriting treats. While each individual disc has its own unique perspective and feel, they’re no doubt plucked from the same collective inwardness, which Barton externalizes in the way he best knows how… by celebrating and lamenting through music. What The Album Tells Us About Him: While most people are starting to consider retiring from their professions, 63-year-old Barton is putting in overtime, churning out a career’s worth of songs in a single studio outing. 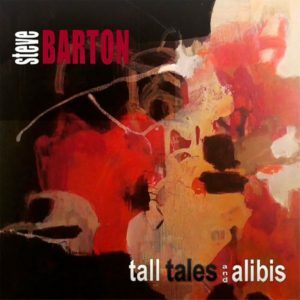 On “Tall Tales and Alibis” he’s combining his musical experience with life experience, punching his prolific songwriting into overdrive and delivering what could possibly be the most ambitious offering of the year. Track Stuck On Repeat: While we normally reserve this section for a particular song that grabs hold of us, we feel it is appropriate to highlight a full disc given the diversity found throughout the listening experience as a whole. With the third compartmentalized collection, Barton hits the studio with a full band and explodes like a balloon… POP. Running his songwriting through a time machine, he touches down in various eras to give us everything from the Doo-wop inspired “Guilty of Innocence” to the Stones’ sounding “The Day My Baby Went Blind.” It’s a fun and uplifting way to round out your “Tall Tales and Alibis” journey. Coming To A City Near You: Steve Barton tour dates can be found here.